hoping that when I finally get out of here and I'm in the rejuvenating waters of Mermaid Beach, I can lose 5kilos in the first 2 weeks!!... 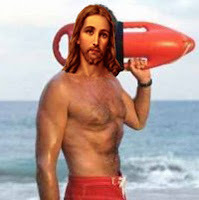 I see the surf club is already having the profiency tests for our voluneer lifeguards... Maybe I can't look as good as the Jesus lifeguard, but long beautiful hair isnt everything.. especially when it gets in the way when I'm trying to see the buoy in the waves of the Sunday surf/swim race!! While dreaming of a better future today, you may also notice that you feel hopeful. This is a positive sign that you realize these are not mere flights of fancy but plans in the making. Once you can imagine even a few of the infinite possibilities, you may feel encouraged that they seem more within reach than you might have previously thought. 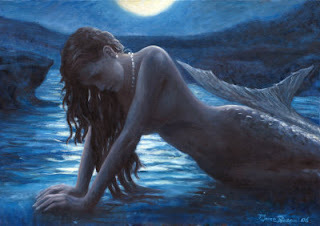 Whether or not you have a vision of each and every step to get you to your goal, you can still feel buoyant as you do your best to steer your course while trusting yourself to the tides of the universe today. Since we create our lives with our thoughts, our dreams are very important. We can’t tell the universe what support to send if we are unclear of our direction. By using our imagination, we can try different scenarios in our minds to help us discover what makes us light up and feel excited (u know what makes me excited) Our dreams can assist us in making even simple decisions in everyday life, helping us stay on course for fulfillment. For example, being dedicated to all natural foods, you might not stop for fast food. If you know you love animals, you might not take the apartment that doesn’t allow pets. When we know what makes us happy, we can move toward it while we also attract it to us. By dreaming boundless dreams today, you consciously step into the process of building yourself a wondrous future. it's so wonderful to be a father!